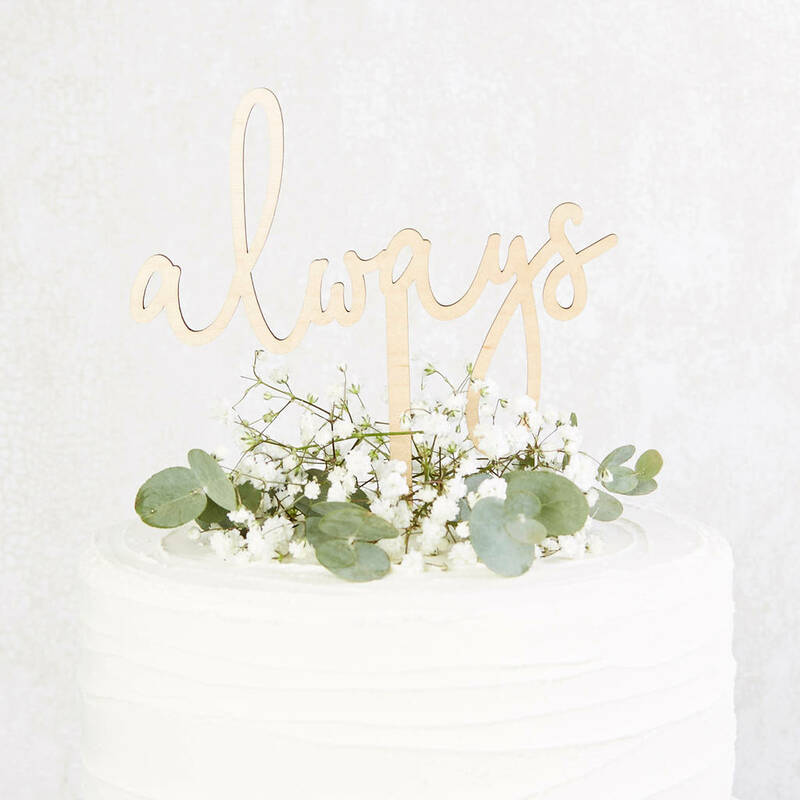 Always Wooden Wedding Cake Topper. 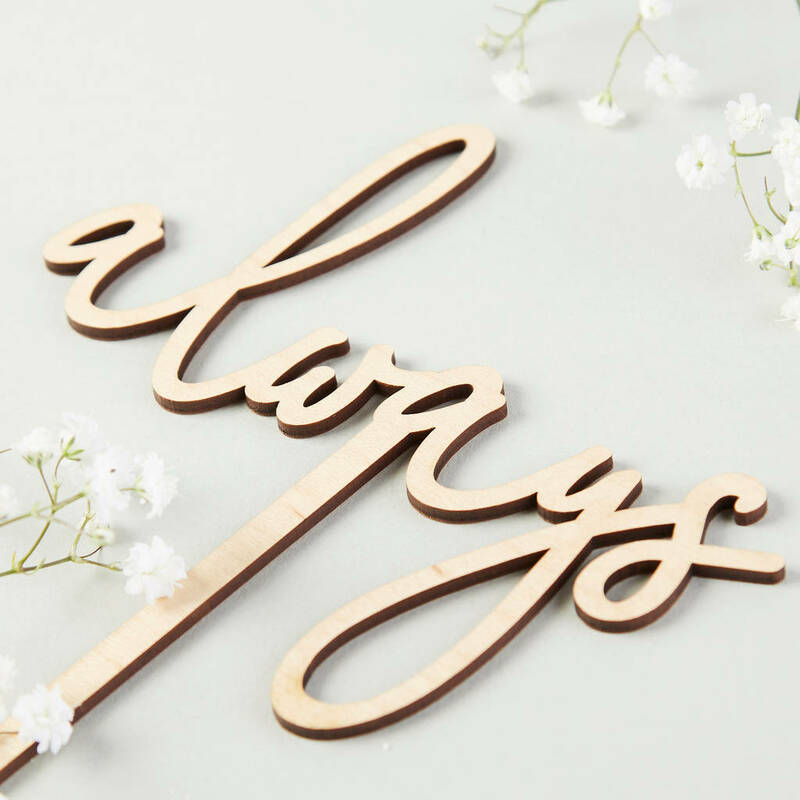 The word 'always' is cut out of our lovely birch veneer wood for this simple wedding cake topper, perfect for any style of wedding. Beautifully crafted and subtle enough to compliment the design of your cake, our wedding cake toppers are the perfect addition to your cake. Made from quality materials and crafted in our Manchester studio before being carefully packaged to ensure they arrive in perfect condition. Gently wash with warm water before use. Wedding cake topper made from Birch veneer 3mm wood. Wedding cake topper measures 15cm at the widest point. The stem is approx. 10cm long. Please contact us if you would like further information about the dimensions of the cake topper or would like to discuss alternative material or colour options.